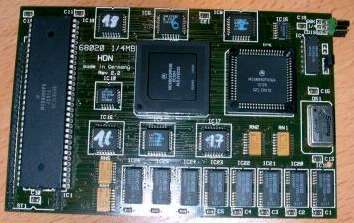 This card appears to be a clone of the MTec 68020 for the A500 and A2000. 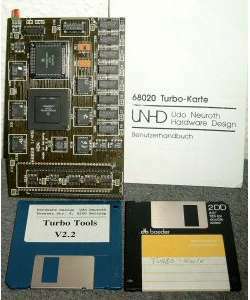 To enable the additional memory on the card, a utility called Addmem must be run from the startup sequence. 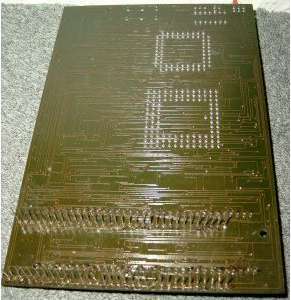 The card plugs into the CPU socket of the A500 or A2000.